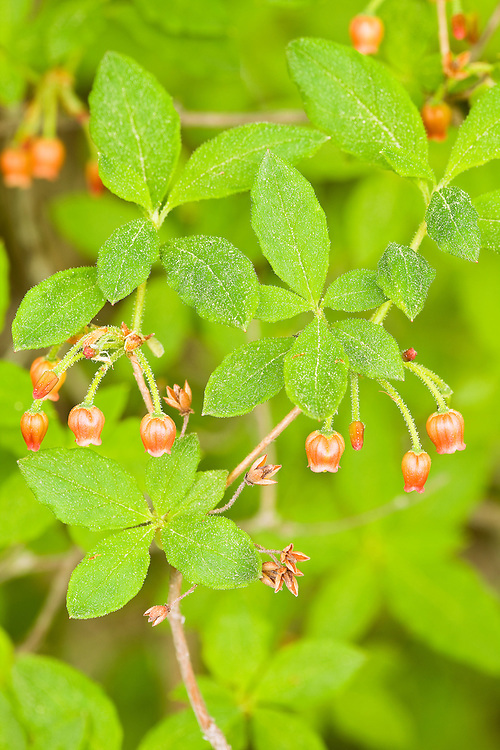 Closeup of flowers of Fool's Huckleberry bush at Lowell Point on the Kenai Peninsula near Seward in Southcentral Alaska. Spring. Morning.